An Ottawa East native, Marie painted regional plein air landscapes for many years using oils. However, a few years ago she discovered encaustics and it is now her primary medium. 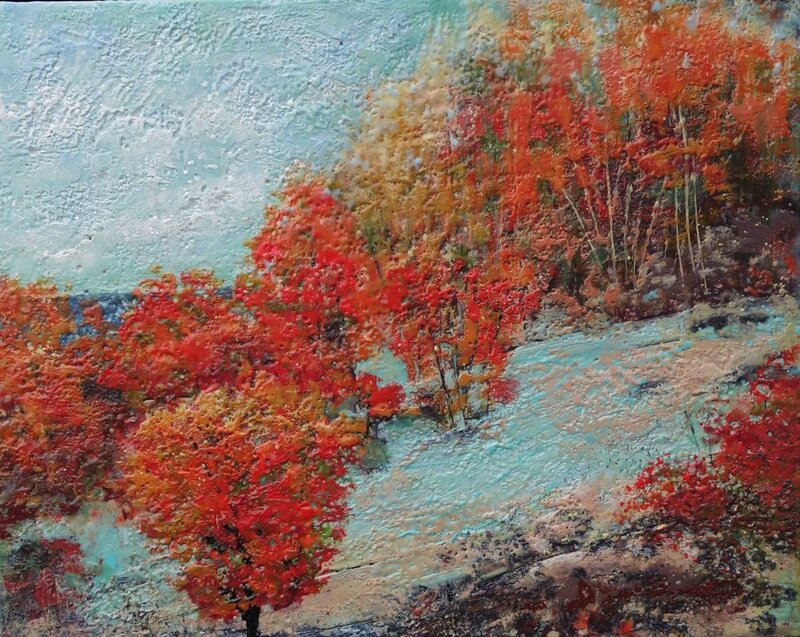 Marie is mostly self-taught in the art of encaustics. 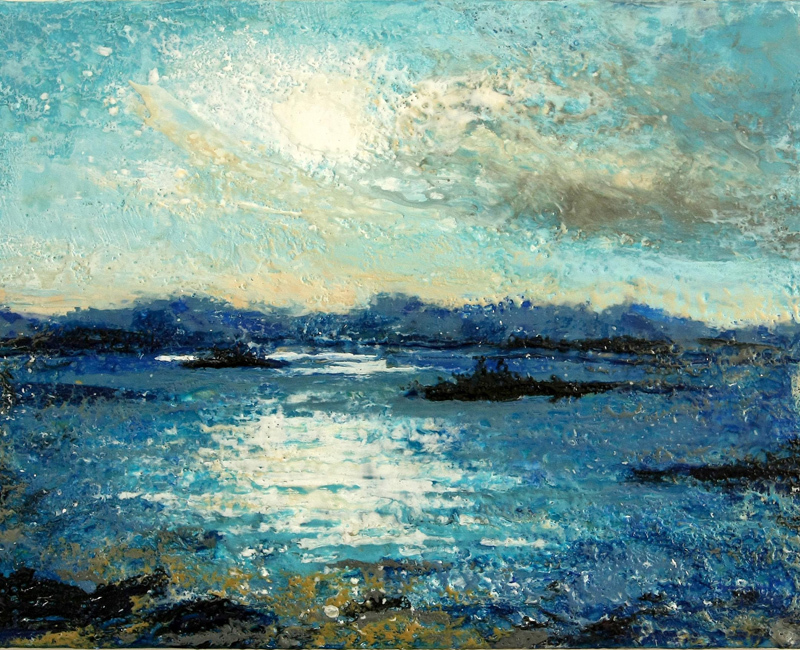 She usually paints from memory, as the years of plein air has provided her with inspiration for the encaustic paintings which are often a mix of realism and abstraction. Painting with melted wax requires letting go and allowing the wax to choose its path. Marie finds that the unexpected textures and results keep the painting process exciting and fresh. Marie shows her work regularly with Arteast where her work has been recognised with awards at their juried shows. Marie has exhibited solo at the Trinity Gallery in the Shenkman Art Center in Orleans, Ontario. She is also amember of the Orleans Art Tour and of the Kanata Civic Art Gallery where her artwork is on display year round.